Plano FSBO hired us to sell his Home - SOLD!! 4 Beds 3 Baths 1 Partial Bath 2,913 Sq. 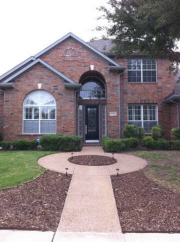 ft.
Best deal in Plano, Gorgeous former model home. Amazing floorplan with beautiful upgrades throughout. Hurry before it is gone!